Common has been romantically involved with Serena Williams for some time. Rumors of the two dating have gone back ever since she appeared in his "I Want You" video. At the time, he was dating Alicia Keys. However, within a year, Common was seeing Serena Williams. This was confirmed last summer. 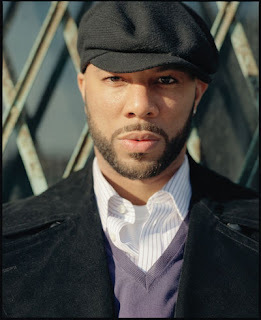 Earlier this year, Common was in the news because of his film with Queen Latifah, Just Wright. Because the film was a romantic-comedy, people had an excuse to ask Common about his relationship. He said he likes women of all colors and sizes. But, the only woman he was looking at was Serena. A few weeks ago, rumors began about Common looking at different women. It was said that the two had broken up after being with each other for a year. Serena Williams refused to talk about the relationship, but Common did not. Recently, he was asked about his relationship status. When Common was asked if he was single or dating, Common said he was definitely single. After saying he was single, Common was asked about Serena Williams. He confirmed their relationship over the past two years, but he said they had grown apart. However, they are still on good terms with each other.